Nothing makes your business stand out quite like a lighted sign! 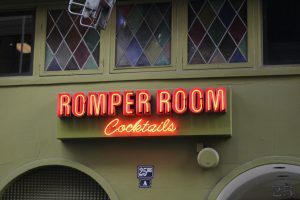 Neon signs and LED signs are growing in popularity, and there is no better way to attract clients and customers any time in any weather conditions. Carolina Custom Signs & Graphics designs, manufactures, and installs attractive custom neon signs for Greensboro businesses looking to make a big impact. Whether you are looking for a storefront neon sign, an indoor neon sign, or are looking to outfit your entire business with attractive signage, we are the right provider for all of your lighted signage needs. Call Carolina Custom Signs & Graphics today at (336) 252-2032 for a Free Consultation with a Neon Sign Expert! 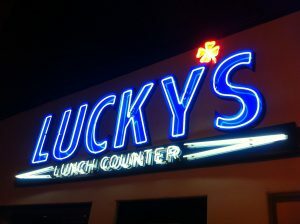 Carolina Custom Signs & Graphics is the top provider of attractive custom neon signs in Greensboro. High-quality, illuminated neon signage helps to not only attract attention to your business and brand, it can help to cultivate a certain brand culture that tells your potential clients a lot about your business personality. 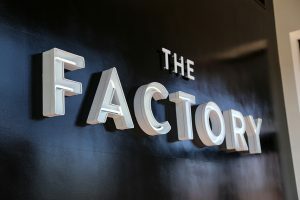 Neon building signs are ideal for many business types that want to set themselves apart from their competitors, and are especially useful for those open late, such as clubs, bars, restaurants, or any business looking to create a unique, funky brand personality. of your business. We can design custom neon signs in a wide variety of styles, colors, and sizes, such as neon logo signs for offices, industrial-style neon signs for breweries or restaurants, or classic cafe style neon. We can’t wait to take your ideas for business signage and recreate them in custom neon signage! Looking for other types of lighted signs, such as backlit signs, illuminated channel letters, LED digital displays, message centers, or something else? We are the right partner for you. Carolina Custom Signs & Graphics has the skills, tools, and resources to create any type of custom business sign you need- just ask! 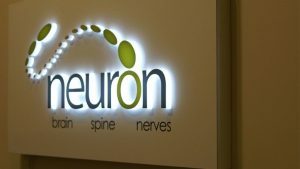 Carolina Custom Signs & Graphics creates attractive, unique custom neon signs that both set the mood and set you apart from the other businesses around you. We look forward to working with you on your neon signage project. Call Carolina Custom Signs & Graphics today at (336) 252-2032 for a Free Consultation with a Neon Sign Specialist!